Wednesday 30th January – Dim Sum Lunch and Flower Market. See below. Over the past two weeks, the children have really enjoyed engaging in role play in the shared area. 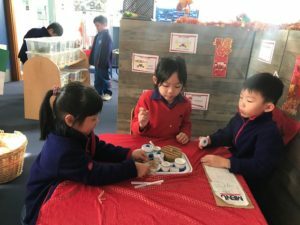 They have been loving the opportunity to visit our Year One/Two Chinese Restaurant, where they have had the opportunity to take on different roles such as customers, chefs and waiters/waitresses. It has been lovely to see the communication skills taking place as well as the co-operative and imaginative play skills. Next week we will add to this experience by providing them with the opportunity to make Chinese New Year red packets. On Tuesday, the Year One children enjoyed their first BHS Popcorn Day. It was a great hit! They enjoyed socialising with their friends in the playground whilst munching on their yummy popcorn. As a school, we are trying to be more environmentally friendly and minimise our waste. It was great to see so many children bringing their own containers to help with this. Thank you! Central Idea: Thinking helps us to imagine and create. This week we have been very impressed with the children’s creative thinking skills. 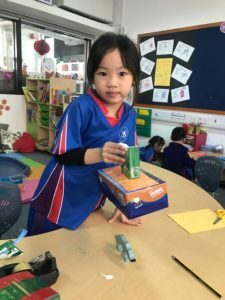 They have been engaged in a task whereby they have been asked to think of a story, identify the story problem and come up with a creative solution. We have been amazed by their ideas! 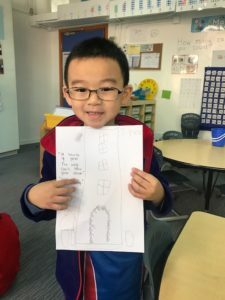 Some of their ideas have included, making a sign to warn Goldilocks to ask before entering people’s homes, a wolf trap to catch the Big Bad Wolf in Little Red Riding Hood and making rafts to help the 3 Billy Goats Gruff across the river. We are looking forward to seeing you all at our Year One Dim Sum trip on Tuesday. Please take the opportunity at the weekend to talk to your child about who will coming with them on the trip. If you are planning to take your child home from the flower market please make sure that you let your child’s class teacher know on the day. Thank you for your help in minimising the effects of all the winter illnesses that are around at the moment. Please continue to check your child’s temperature in the morning before they leave for school. The aim is to prevent the spread of illness and ensure that children are fit and ready to learn. A child with a temperature of 38 degrees or higher should not be coming to school. We would also suggest that if your child has had a temperature overnight it would not be appropriate to send them to school. As always please talk to your child about the importance of thorough hand washing. 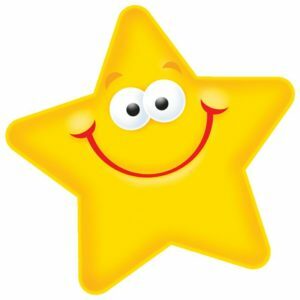 There will be a record sheet attached to your child’s diary on Monday that we ask you to complete each day. This week you will have received information about the next round of Year One immunisations. Please can you help us by returning all relevant forms and paperwork to school in a zip lock bag or plastic pocket. This helps us to ensure that documents do not get lost. Thank you. This week we have started our work on place value and the number system. 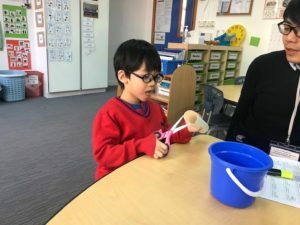 The children have been engaged in a range of practical activities that have allowed them to show us what they know about reading, writing and ordering numbers. They have used classroom Maths equipment such as, Numicon, Dien Blocks and cubes to make numbers past 20. Next week we will continue with this focus, by looking at the concept of tens and units. The children will be exploring the idea of what a ten is and makings sets of 10 using the equipment. We will also be learning to skip count in 10’s. 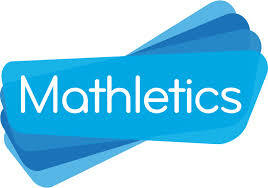 Mathletics: – there are now some more activities open. Please enjoy supporting your child with these tasks. Next week in reading we will be focusing on consolidating what makes a good reader by asking the children to practice their read aloud and retelling skills and use “think marks” to show their understanding of the texts they are reading. 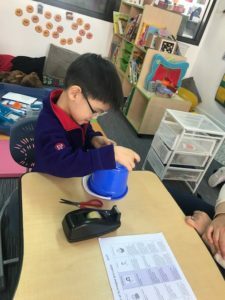 They will also be looking for camera words in their reading books and practising their phonic decoding skills in the context of the books they are reading in Readers Workshop. Next week in writing we will be continuing with our story focus. 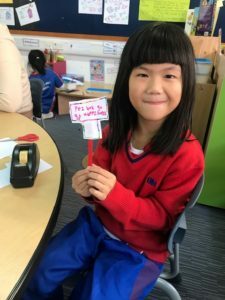 The children will have the opportunity to choose from writing their own character descriptions, creating their own stories and thinking of story problems and writing about them. Congratulations to all our Golden Book children! 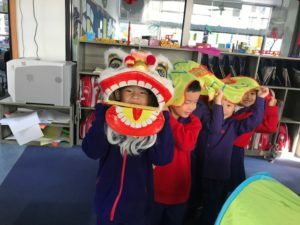 The children are very excited about Chinese New Year. 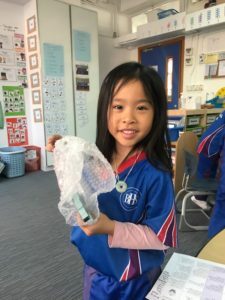 Here is an article by Little Steps Asia giving some ideas of how you can get your child involved in some of the Chinese New Year traditions. Lai See means good luck. They are red packets filled with money. It is a kind of blessing given from the senior to the junior, from elderlies to children, from married couples to unmarried friends. The amount of money you put inside depends on your relationship with the receiver, usually the closer the more. Generally speaking, HK$20 is a proper amount to give out, for example, to the security guard at your building or friends’ children; but when the relationship gets closer, or you are having constant contact with the person, you may want to raise the amount a bit more to around HK$50. To your closest circle of family members, you may want to increase the amount even higher to HK$100 or more. One important note: do not give increments of 4 in Lai See, because the pronunciation of 4 sounds similar to death in Chinese. Invite your kids to help you pack the Lai Sees. They can have fun slipping the notes inside and you can teach them about money management at the same time! Just remember to check before closing the envelope to see if they put too much in one packet! Just like Christmas, Chinese also decorate their homes or offices during CNY with lucky plants! There are different meanings for different plants. For example, lucky bamboo and mandarin oranges symbolize luck and prosperity; cherry blossom means a fresh start for the year, and water lily represents new growth. Click here for the top flower markets to visit and a list of the best lucky plants and flowers to buy. Go and select your favorite lucky plants at the annual Chinese New Year Flower Market at Victoria Park or one of the many other flower markets celebrating CNY around the city. Assign them to take care of the plants and develop their sense of responsibilities. For fun, you can also ask the kids to decorate the mandarin orange trees with red packets to add luckiness to your plant. Lion dance performances are essential in the Chinese New Year celebration. The Lion is the symbol of power and good fortune, and a dancing lion can drive away the evil spirits and bad luck. The performance combines Chinese martial arts with glamorous costumes. Usually, the show ends with the lion eating green vegetables, munching it and then throwing it back to the audience. As green vegetables are pronounced as “cai” in Chinese, which sounds similar to luck; eating it means grabbing the luck and throwing it back means spreading the blessing to the audience. Watch a Lion Dance show with your kids happening in different parts in Hong Kong. You can also watch it at the night parade on February 5, 2019 (The Chinese New Year Day) to celebrate the arrival of the Year of the Pig! Red is the color for Chinese New Year. It is a color meaning good luck, so it is prevalent to dress in red color during this time; avoid wearing dark colored clothing, especially black and white, which carry the bad meaning of death and misfortune. Not only should you should wear red in your outfit, but it’s also best if you could wear red underwear so that you will be blessed from the inside out. Moreover, Chinese New Year should be about something NEW! So, wear new clothes, from head to toe, to ensure a brand new start for the New Year. Go shopping with your kids and buy some new red clothes! Want to be special and pretty? How about buying a cheongsam/qipao, a kind of traditional Chinese clothing to be worn on special occasions. If wearing a one-piece traditional Cheongsam is too much for you, adults can opt for jackets with traditional Chinese prints to match with your kids’ CNY outfits. How can one celebrate the most important festival of the year without some good food! Turnip cake and year cake are traditional foods to eat during CNY. 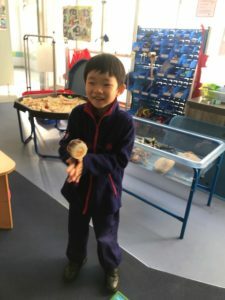 The pronunciation of cake is similar to height, so it is said that children eating Year Cake/ Nian Gao, will grow taller and stay healthy for the year! Turnip cake is a savory usually served as breakfast during CNY while Year Cake is a sweet cake made with glutinous rice flour and brown sugar. You can buy it from Chinese restaurants or Chinese cake shops; or if you have the time, you can make your own. They are cooked when you buy them, so you just have to reheat them by pan-frying until they are soft and turn slightly crispy on the outside! Remember to serve them with a cup of hot Chinese tea to help digestion. Try making your own turnip cake or year cake (or both) at home with kids! You can easily find nice recipes online and on YouTube. They are challenging and hard to make, but it will be a fun activity to do for the whole family. A lot of preparation work has to be done before CNY- buying presents for your family and friends, shopping for new clothes; and of course, a complete cleaning of your house. Clearing away the old stuff signifies the meaning of removing the old and welcoming the new. As your friends will make home visits during CNY, it’s also useful to tidy up your home before CNY. After cleaning your home, it’s time for decoration! To make your house look festive, Chinese love to put DuiLian decorations, which are blessings written in Chinese calligraphy on red papers, delicate paper cutting and a Chinese candy box filled with different kinds of sweets at home. Clean the house with your kids, everyone has to help to prepare for the arrival of CNY. There are different designs for the Chinese candy box, go shop for a nice one with your kids and fill it up with candies. Also, ask them to stick the red paper blessings around the house as decoration. If your kids know how to write in Chinese, you can even buy red paper, and let them write their own DuiLians!